The Left Banke is an American pop-rock band that formed in 1965. They disbanded in 1969 and eventually reformed in 2011. The band famously utilized what is referred to as “baroque” string arrangements, resulting in their music being termed “Bach-rock,” “baroque rock,” or “baroque ‘n’ roll.” The Left Banke’s vocal harmonies were reminiscent of bands like the Beatles, the Zombies, and other British Invasion acts. 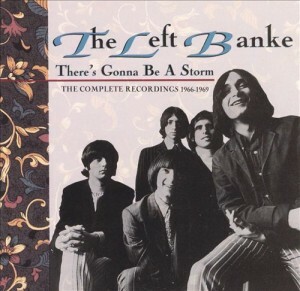 Forming in 1965, the Left Banke consisted of Michael Brown (keyboards, songwriter), George Cameron (guitar), Tom Finn (bass), Warren David-Schierhorst (drums), and Steve Martin, aka Steve Martin Caro, (vocals). Brown’s father, Harry Lookofsky, was a well-known session violinist, and ran a studio in New York. Lookofsky showed an interest in his son’s band, and acted as their producer, manager, and publisher. After a few early recording sessions, David-Schierhorst was released from the band. Cameron switched to drums and Jeff Winfield was brought in as the new guitarist. Brown wrote the mega-hit “Walk Away Renee,” and sold the single to Smash Records, an offshoot of Mercury Records. The song was rated #220 in 2004 according to Rolling Stone Magazine’s Top 500 songs of all-time. The Left Banke followed with another Brown hit in “Pretty Ballerina,” charting in early 1967. 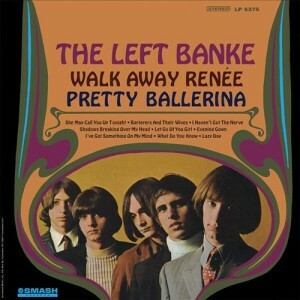 The band released the album Walk Away Renee/Pretty Ballerina later in ’67, by which time, Rick Brand replaced Winfield on guitar. As the Left Banke continued working on new material, tension between Brown and the rest of the band started to arise. Brown recorded the single “Ivy, Ivy” / “And Suddenly” as the Left Banke, but used session musicians, including Michael McKean, later of Spinal Tap, and Bert Sommer on lead vocals. The rest of the band decided to take legal action against Brown, and hired attorneys to issue a cease and desist order. They also encouraged their fan club to boycott the record. Radio and Smash Records stopped supporting the single, resulting in it not charting on the Billboard Hot 100. The band did reunite in late 1967, and recorded more material, including the single “Desiree.” Due to the previous controversy, radio stations were reluctant to promote the Left Banke, hindering the song’s success. Shortly after, Brown left the band and was replaced by Emmet Lake for touring purposes. Cameron, Finn, and Martin continued on and brought in Tom Feher to replace Lake, and Feher wound up writing half of the Left Banke’s new material. 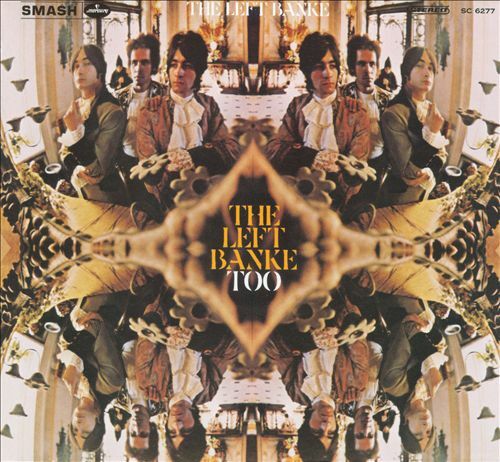 Their second album, The Left Banke Too, was released in November 1968, and consisted of material that was assembled from various incarnations of the group in 1967 and 1968. Legendary singer Steven Tyler of Aerosmith sang backing vocals on a handful of the songs on the album. Martin then left the band in 1969, but they continued to playing live without him. However, they soon disbanded due to lack of success and financial problems. Later that year, Brown and Martin reunited to record one more single as the Left Banke. “Myrah” / “Pedestal” was the band’s last release on the Smash label. Brown, Cameron, Finn, and Martin reunited briefly in 1971 to record two songs for the movie Hot Parts. Producer Les Fradkin offered to produce the Left Banke for a project on Bell Records in 1972, which the band agreed to. The material was not initially release, but one of the songs, “I Could Make It Last Forever,” composed by Fradkin and Diane Ellis, was eventually released on Fradkin’s solo album Goin’ Back in 2006. In 1978, Martin, Cameron, and Finn reunited to record an album’s worth of material that was again not released at the time. This album was finally released in 1986 on Relix Records and was titled Strangers On A Train (Voices Calling was the album’s name in Europe). Upon his departure from the Left Banke in 1967, Brown helped form the band Montage. Although not a member of the band, Brown’s influence is extremely evident. Brown then formed the band the Stories with singer Ian Lloyd, and had a #1 hit in 1973 with “Brother Louie.” However, Brown was not a member of the Stories when the song was a hit. The Left Banke reunited in 2011, and Finn posted on YouTube in 2012 that the band was in the process of writing a new record with contributions from Brown.